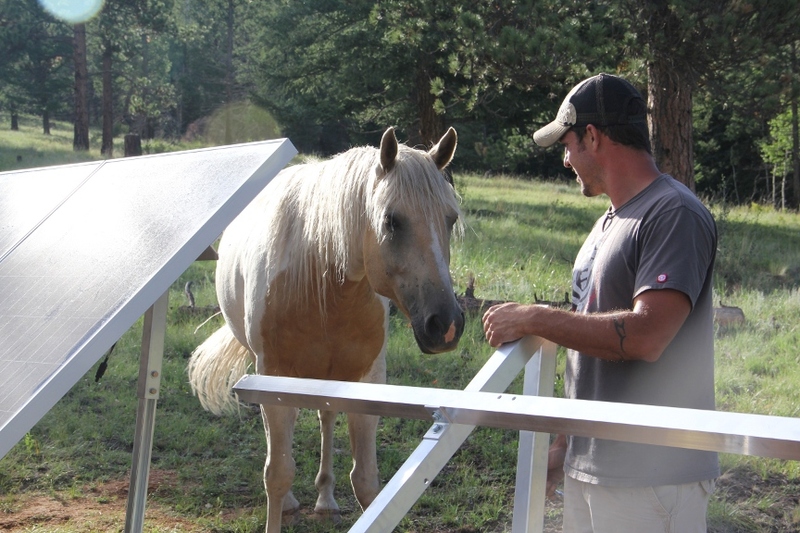 The owner of Buffalo Peak Ranch, Leigh McGill, desired to have a battery backup for the cabin and barn. Lightning strikes and falling trees (since the Hayman fire some ten years ago) frequently cut power for hours, even days at at time. 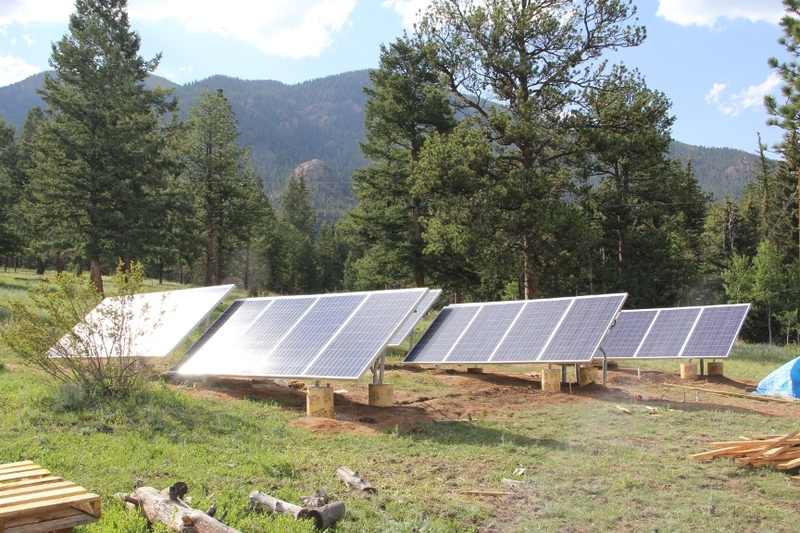 While we could have installed a simpler grid-tied, battery backed or even auto-generator system, it was determined that to generate our own power from the Sun was a preferred solution. 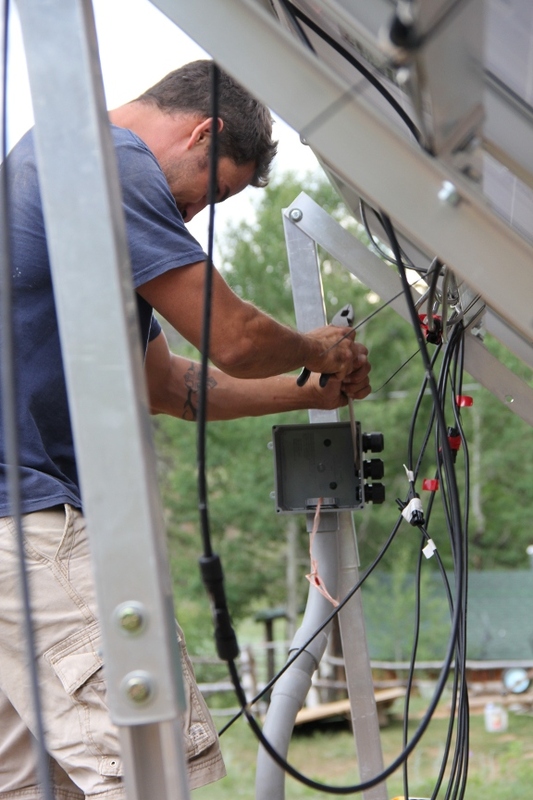 We worked with The Solar Biz, an established, New Mexico based, family-owned distributor of all things solar to design and procure the system, my company Over the Sun, LLC the reseller and installer. As many projects do unfold, it was more work than anticipated. We set concrete forms to support the PV panel runs, a good 32 or 36 inches below grade to avoid frost-heave. The racks required some modification, but nothing a hack saw and drill could not remedy, and in the end the panels sit side by side, perfectly aligned. Our four man team was comprised of Trevor (ranch hand), Clint (son of the owner), Chris (renewable energy engineer out of Fort Collins, my co-worker and friend), and me. We worked well together, logging long hours for a few weeks in total. The deep trench was started with a ditch-witch, but in the end, much of it came down to a pickax and shovel (and Clint’s strong back). 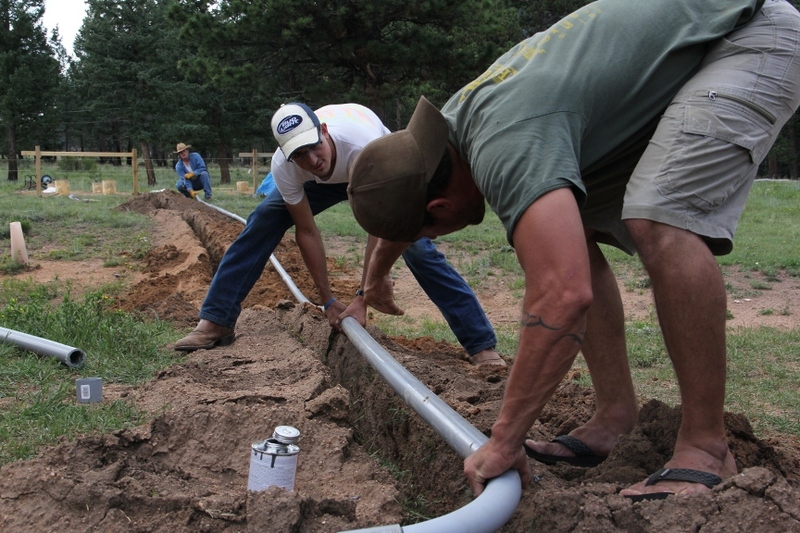 The pipe was laid in place and then the heavy, thick cables lubricated and pushed/pulled through, chasing a braided, nylon string which was inserted into each piece pipe, one by one. I forget the exact length, but moving more than one hundred feet of cable is not a simple task. Each bend in the pipe, each joint offered more of a challenge as it neared the end. 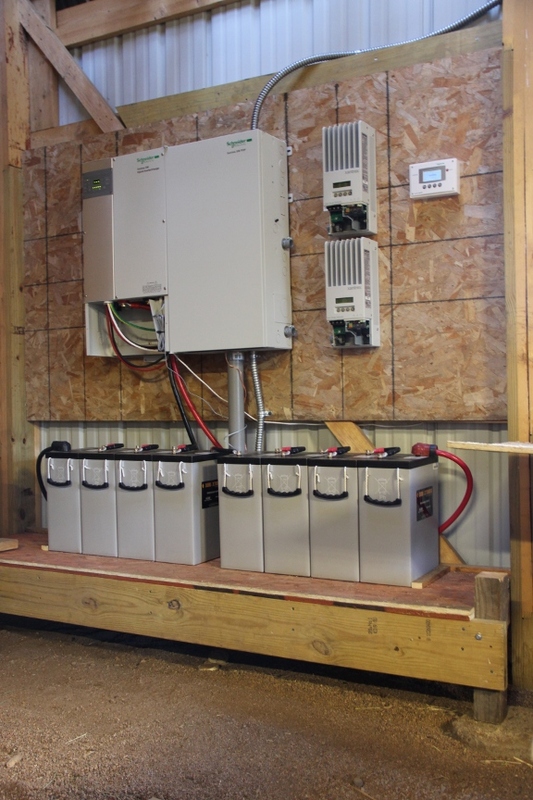 I built a utility wall from which the Xantrex inverter and charge controllers hang. The eight 6V batteries (48V array) rest on a sturdy shelf beneath. 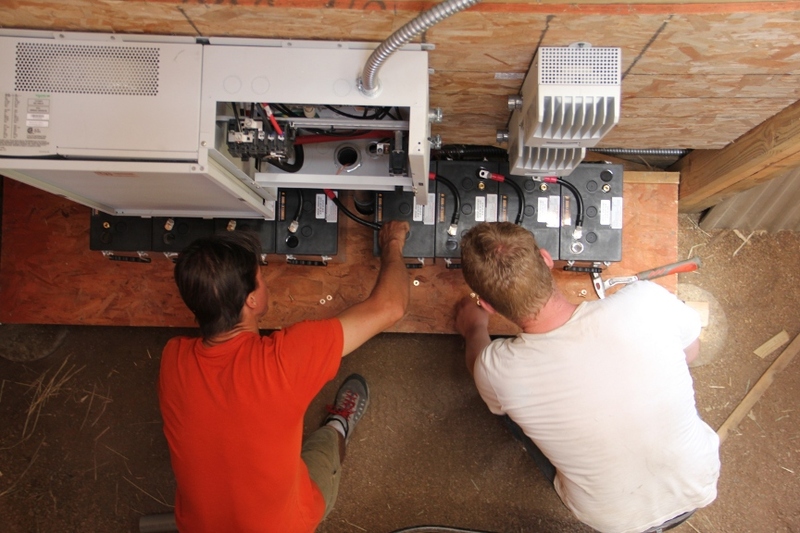 Ample power to run the electric oven, fridge, microwave, and heaters in the fall and spring. 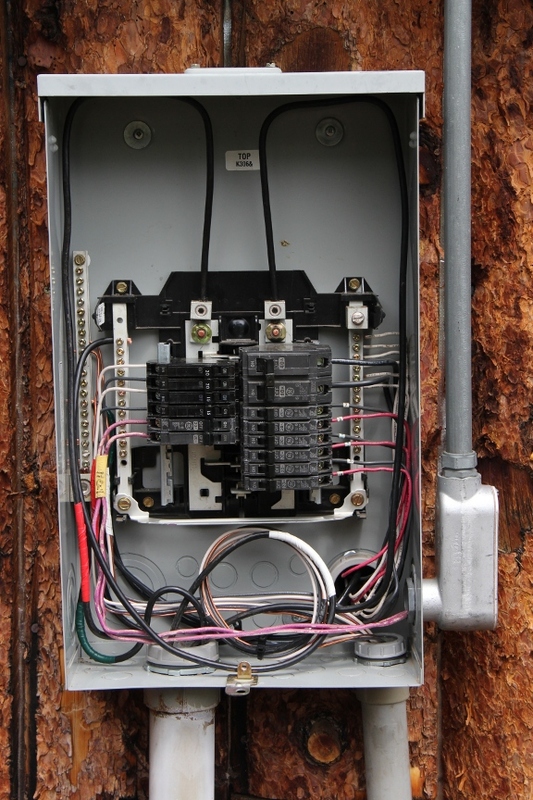 This was my second Xantrex wiring effort (the first being my house in Loveland) and while familiar, it remained a bit tricky. But in the end, having rewired both electrical panels on the house in order to isolate mission-critical circuits for backup power, it works perfectly. I cannot think of a place in which I’d rather work. At more than 7000 feet elevation, there are elk, coyotes, fox, deer, bear, horses and domestic buffalo. It is a place in which I feel truly calm. It is one of my favorite places in the world. With 24 220W panels, the system generates a theoretical maximum 5200W. It produces more when in direct, early afternoon sun. But generally, we see between 4-5k with less than 10% total system loss (D/C from the panels to the charge controllers, batteries, inverter). It’s a good, functional solution that will generate more power, over the year, than is consumed meaning eventually, it will pay for itself in addition to its obvious functionality. Even the hot tub is solar powered. That makes me feel good.